Penrite Honda Racing contender samples components with American Honda. South Australian Brett Metcalfe recently returned from a training stint in the USA where he carried out testing with American Honda, sampling a number components from KYB suspension. While the trip was training based, the Penrite Honda Racing rider discovered a positive feeling while testing the premium units, prompting a full-time switch to KYB suspension for his upcoming campaign in Australia. 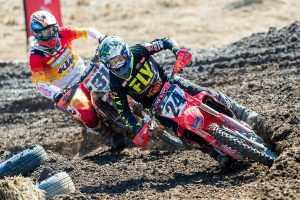 The Honda CRF450R is fitted standard with Showa suspension, however the KYB offering has often been pursued by the Team Honda HRC on the AMA pro circuit, with Cole Seely currently utilising a factory set-up from the alternative suspension manufacturer. 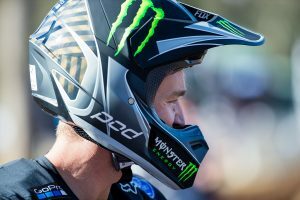 “The trip over there was really the start for us,” Metcalfe explained to MotoOnline.com.au. “American Honda and Honda Australia put a couple of things together to help us out – it was mainly to get over there and get some training done, but as far testing, we’ve made a switch to KYB suspension – so we were over there to get a head start and get a base setting before coming back here and working with Kroozetune. “It sort of just came around for us – it was a choice were given [to use KYB] and we went over there to proceed in testing and see how things went. One thing led to another really, and we ended up finding some success with it. I felt comfortable, so we chose to go with that route. 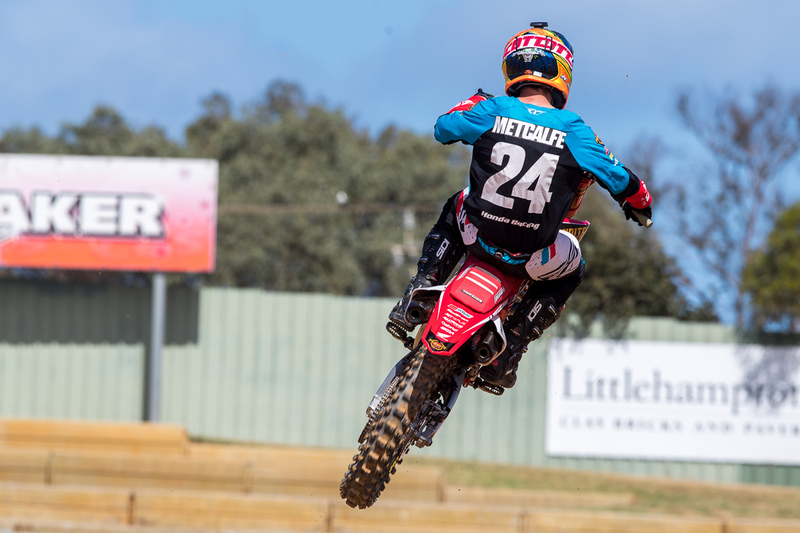 Metcalfe enters the 2019 Pirelli MX Nationals aboard the same machinery and team for the first time since returning to Australia, and following a highly-positive supercross campaign late last year, the former international sits as one of the title favourites for the MX1 crown. The opening round of the MX Nationals is scheduled for 17 March at Appin in New South Wales.